Ms. Migiro is High Commissioner of Tanzania to the United Kingdom. She previously served, between 2007 and 2012, as the third Deputy Secretary-General of the United Nations, in which capacity she championed the UN’s fight against poverty through effort to meet the Millennium Development Goals and achieve greater coherence in its support to member states through the implementation of the “Delivering as one” strategy. She also oversaw the reform process which led to the establishment of UNWOMEN. 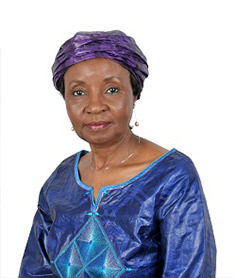 As Foreign Minister of Tanzania between 2006 and 2007, Ms. Migiro spearheaded Tanzanian engagement in the pursuit of peace, security and development in the Great Lakes Region, notably in her capacity as Chair of the Council of Ministers meetings in the International Conference of the Great Lakes Region.